Today’s guest blog post, on the topic of characters, is brought to you by novelist Jo Barney. I’m getting acquainted with the woman who has made an appearance on my computer. She’s a bit like me, only bitchier, at least at the beginning of the book. Not her fault. She’s been married to a bully of a husband for fifty years and for some reason, she’s hung in there. Not my problem, but I can identify. One morning she wakes up next to him and discovers that he’s dead. She closes his eyes and wonders, what now? The what now? is, of course, the story, and a fourth of the way in, Edith hasn’t much of a clue. But her hair is now blonde, not gray, and she’s thinking about doing something about her chin. And she’s confused about the coroner’s report about the contents of Art’s blood. Anti-depressants in a man who wouldn’t swallow an aspirin? I have no idea how this story will end. That’s the best part of all. The writing adrenalin is spurting, fertilizing my dreams. I wake up and try to remember why dead Art’s pockets contain receipts from local rib joints when he wouldn’t touch his food with his fingers, ever. I love writing, getting to know people I never knew existed, and which don’t exist except in my imagination and on my computer screen. And in my midnight fantasies. Spending a little time, over early morning coffee, I remember other good friends from other books, the school counselor in Wednesday Club, the hockey player in Mom, the college friends in Solarium, and the old lady and her runaway friend in Graffiti Grandma. I have read about how I should promote them on the internet, how I should blog on several electronic destinations created for writers like me, how I must ask for reviews and pats on the back from others who expect the same sort of support from me. And tweet, often, send cheerful messages to my friends about the several old ladies I’ve created and learned to love. I am exhausted thinking about all that. I’m kind of an old lady myself. I go back to Edith. Edith is learning to swear a little and to reflect for a moment on the Black man with clipped gray hair she finds at her table at the rib joint. Who knows what’s next? I don’t. And I can hardly wait. This is not a YA novel. This is an OA novel. It will appeal, first of all, to its author, and then maybe, to others for whom vampires, dystopia, avengers and rumpled sheets have little appeal. Well, maybe not the rumpled sheets. Edith is open to new experiences. I sink back into my office chair and become Edith, as she wonders if she’ll ever get together with the man in the rib joint. Of course, first she has to stop feeling guilty about her unlove of her dead husband. And maybe she has to learn to love herself a little more. A dog might help. A brown dog that smiles. A sharp jab of a doubt awakens the brain cells dealing with reality. This is an Old Adult book in a world of Young Adults and those who wish they still were Young Adults. I ask myself is there a hope in hell that anyone at any age will be interested reading the story of a seventy-year old woman who lost herself fifty years earlier and then maybe finds herself? Absolutely, Jo. That question reminds me of ‘Elizabeth is Missing’ by Emma Healey, a recent BBC Radio 2 Book of the Week. I’ve not read it but it sounds intruiging. Thank you, Jo. 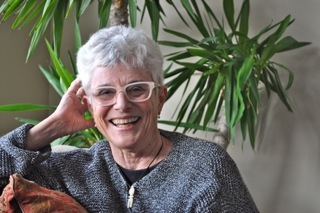 After graduating from Willamette University, Jo spent the most of next thirty years teaching, counseling, mothering, wifing and of course, writing. Her writing first appeared in small literary magazines and professional publications. 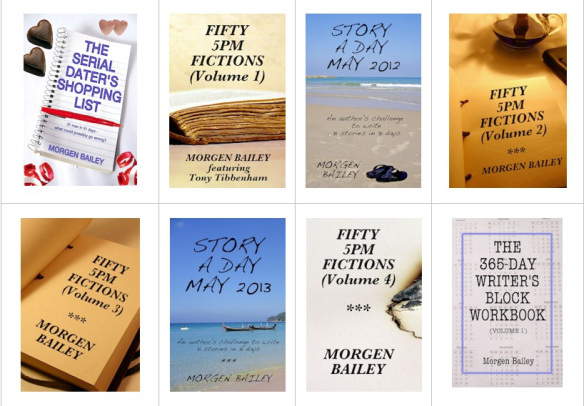 Since retirement, she has had time to write four novels and two screenplays. The first book used her teaching life as inspiration and served as a way to leave a profession she loved. The second story focused on her then-prodigal son, the hockey player. She’s quite sure he is relieved that it has not yet been published. 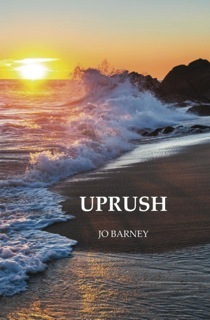 Her third novel, Uprush, is an intimate, almost true, story of four middle-aged women lot like her own long-time friends. Graffiti Grandma examines the life of an elderly woman and the underworld of the homeless. Her next book, coming out this year, tells of Edith who wakes up one morning to find she is a widow. Her stories and essays, as well as the novels, reflect her observations of women’s lives and the people who inhabit them: the children, husbands, parents, friends, strangers who happen by and change everything. Jo Barney writes about older women a lot like herself. Ellie, in her first well-reviewed book, Graffiti Grandma, obsessed on the graffiti messing up the mailboxes in her neighborhood and on the serial killer messing up the nearby park with bodies. She helped get rid of both. Jo got the idea for the book as she sprayed Graffiti-X for the tenth time on the mailbox across the street, so angry she only sputtered when a kid asked her what she was doing. Now, in her next novel, UPRUSH, four old friends meet at a beach house for their usual coming together to drink wine, complain about husbands, or the lack of them, compare upper arm flab–the usual stuff old friends do. Except this time one of them, Madge, a writer, asks the other three to help her die. She has a good reason. Her friends, once they learn it, must decide with great misgivings and sadness what they will do. Madge has a gift for them, no matter what: her take on their lives over the past forty-some years, her last novel, stories which will change their futures. Madge gives the stories to her friends, reads hers, which explains her need for their help, and the women find a necessary obstacle to their plans in Lucius, the local sheriff whom they must ask to search for the missing Madge. The search leads them to the other side of the rocky point where Madge is found, drowned, weighed down by mussels. As they move through the next few days, the women read their stories and each finds Madge has forced her to make a decision that will determine the rest of her life, just as her own story has led her to her death. The novel ends with Lucius providing the three women with the help they need to insure police, family, and the world will see Madge’s death as a tragic drowning. The women go back to the rest of their lives, sad but knowing they accomplished what Madge had asked, and more. Jo has four similar college friends who have visited the Oregon coast in the forty years since they graduated from college. “What if one of us got Alzheimer’s?” someone asked a while back. “Hey, we’re here to laugh and drink wine, so stop with the annoying questions,” someone else answered. And Jo had her next novel. and from this blog, my guests who have written about characters are: Armand Rosamilia, Carol Crigger, Chris Redding, Christopher Starr, Ditrie Sanchez, Graham Smith 1, Graham Smith 2, Jane Davis, Jerry Last, John Harper, Morgen Bailey, Nina Munteanu, Paul Lell, Sandra Humphrey, TJ Perkins 1, and TJ Perkins 2.